This is where I share some of my experiences and tools about business, marketing and the web to help you start your very own business on your journey to freedom and happiness. You can replace the print_r function with a debugging function like this one to better read the output. The Genesis Framework empowers you to quickly and easily build incredible websites with WordPress. Whether you're a novice or advanced developer, Genesis provides the secure and search-engine-optimized foundation that takes WordPress to places you never thought it could go. 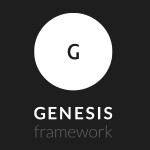 It's really that simple - start using the Genesis Framework now! Take advantage of the 6 default layout options, comprehensive SEO settings, rock-solid security, flexible theme options, cool custom widgets, custom design hooks, and a huge selection of child themes ("skins") that make your site look the way you want it to. With automatic theme updates and world-class support included, Genesis is the smart choice for your WordPress website or blog. 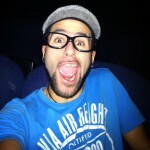 Still don't know what I'm talking about? Get started here. Find out more about the framework features. Take a look at the child themes available.